I love Instagram for all the fitness accounts that inspire. 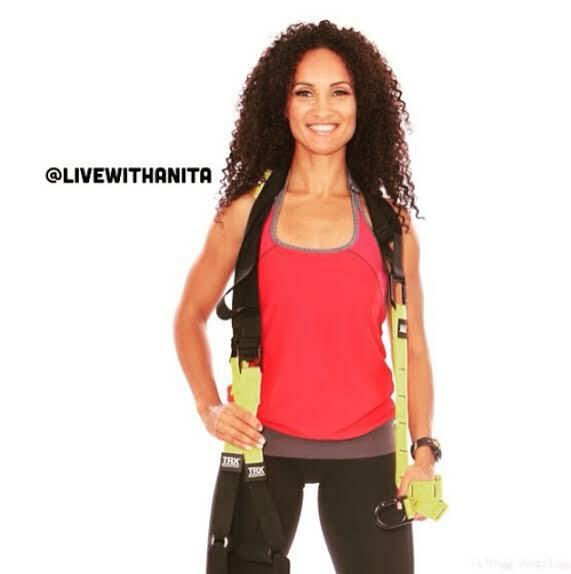 I began to follow the account @livewithanita and became curious about the workouts posted on Anita’s account. A former figure/bikini competitor, Anita instructs an exercise program called The Hourglass Workout. The participants of this workout looked like they were having a lot of fun from the photos posted. So much fun that I contacted Anita to see if I could give this workout a try. She replied to my request and said come on in to the studio for a trial workout. What is The Hourglass Workout? 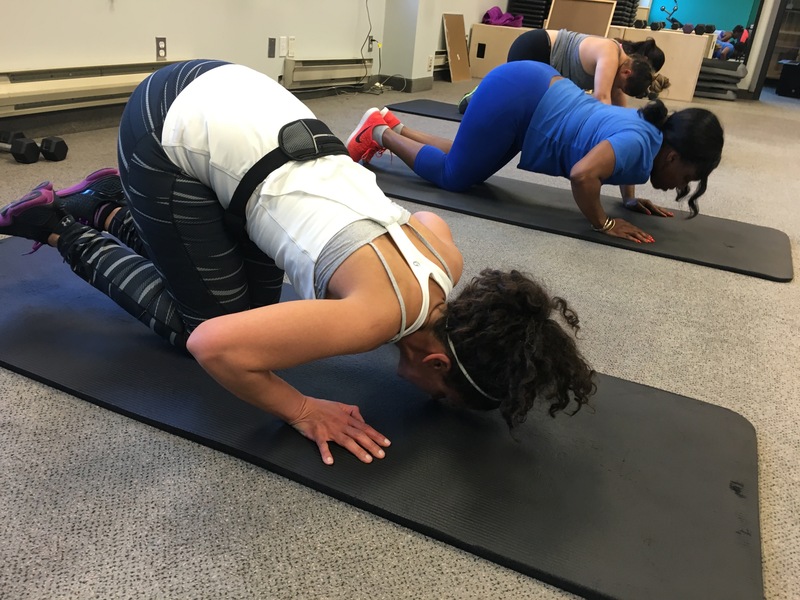 There are hourglass studios and trainers thoughout the greater Toronto area I discovered. As luck would have it, the studio Anita owns and operates happens to be right in the area I live. Talk about fate! I had to give this workout a try. 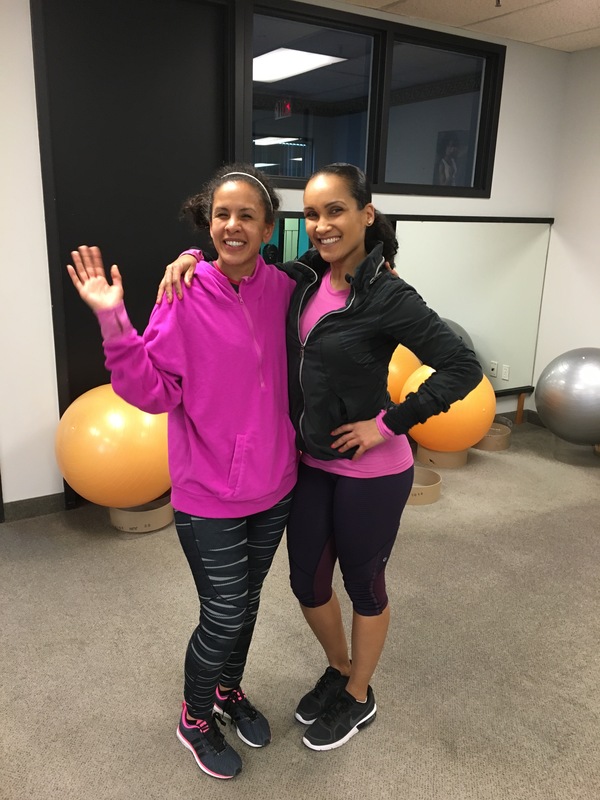 I met Anita at the studio at 7:00 pm for an upper body blast workout. She looked in phenomenal shape and welcomed me with open arms and her vivacious personality. There were about twelve participants in this class. 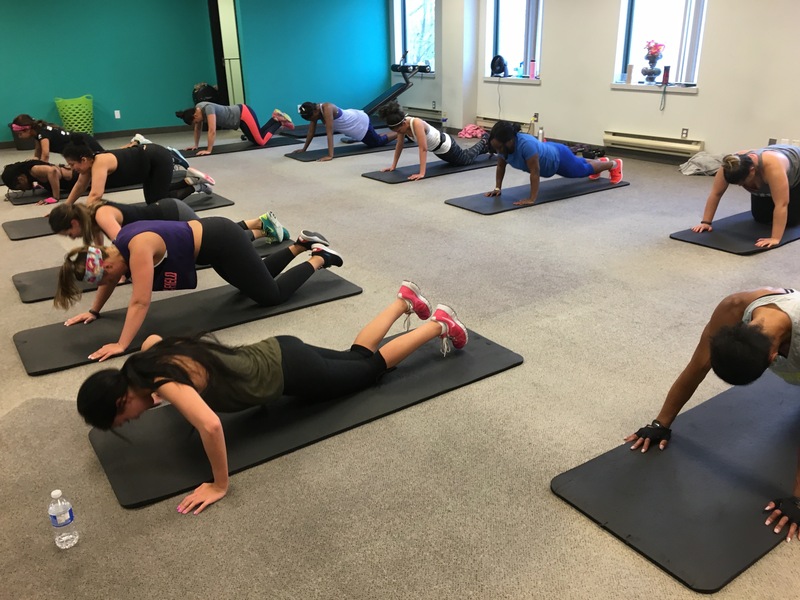 The studio was bright, clean and airy with an variety of fitness equipment. To be honest, I didn’t expect the workout to be that much of a challenge. I consider myself to be in pretty good physical condition and I enjoy working my upper body now. I thought from the name, perhaps a “girly” type workout was on the agenda. This could not have been further from the truth. I knew my assumption was wrong when our warm-up included stair sprints….then skipping….with a weighted rope. Let’s just say I was sweating already and this was just the warm up. 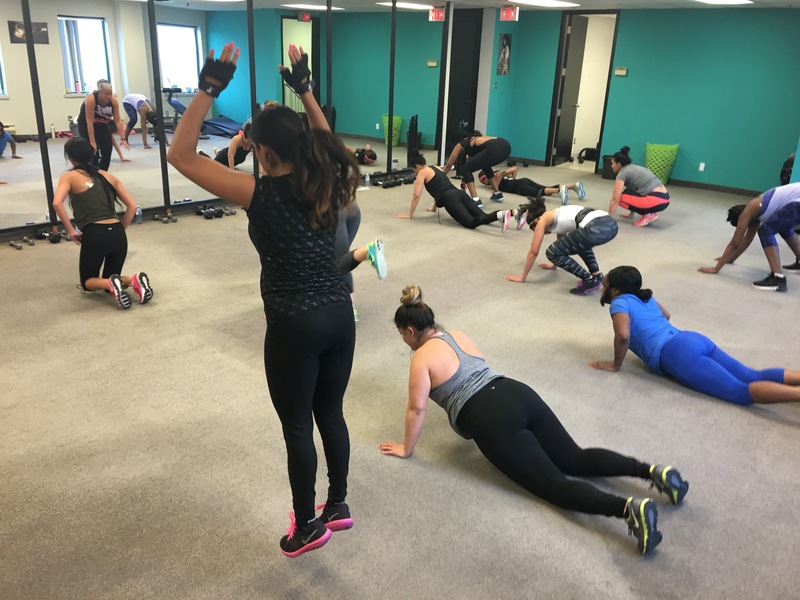 The next 40 minutes included Tabata type drills of 20 seconds of work to 10 seconds of rest with a variety of upper body weight exercises (see lots of push-ups) over head presses, bicep curls, tricep kick-backs and functional training core moves. I would definitely recommend The Hourglass Workout to build stamina, endurance and strength or even if you are training for a Warrior Dash type race. The drills ended in a full body stretch. I was hurting in a good way the next day, especially in my triceps and calves from the stair sprinting. The ladies in the group were extremely supportive of one another, and Anita enthusiastically encourages you to give it your all. The class is like “personal”- group training, and she is able to walk the floor, checking on the form and safety of all participants. Through the challenge, there was a lot of fun and laughter just as I observed on Anita’s IG account, with a lively music selection to keep you moving. The Hourglass workout is sure to result in a toned, strong body that accentuates those womanly curves if done consistently over time. 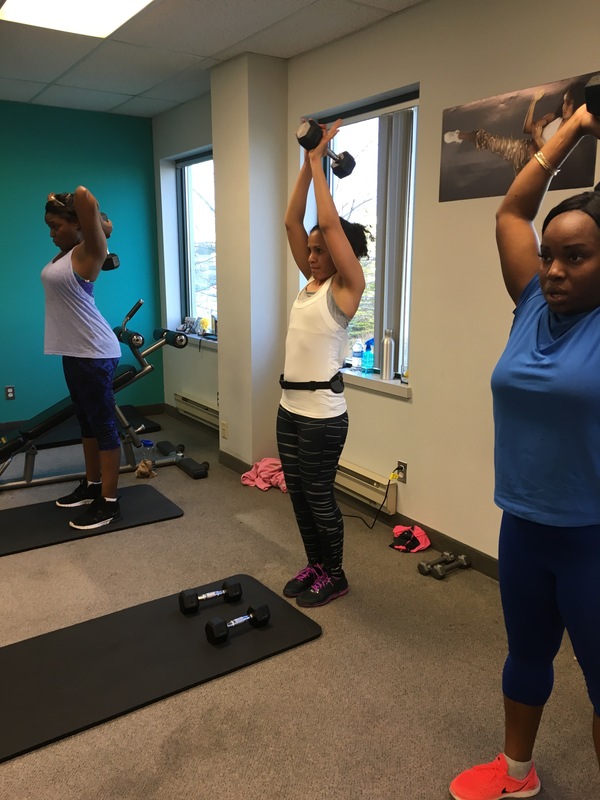 I would also recommend this workout for all fitness levels, because Anita knows the participant’s level of ability, and provides the suitable modifications as you progress, as well as light weights for beginners. What I also love about the program is the philosophy regarding eating. The Hourglass Workout frowns upon dieting and emphasizes healthy, nutritious foods for a lifestyle change, not instant results. A meal plan is included with all of the exercise programs, as well as shopping education. Get hourglassed this summer and embrace those curves! Do it for the Wow! Thank-you Mihrank. This class was a tough one, but I really enjoyed it! It was! And a challenge too. I like the idea of the project. It’s a solid program all around. I love the idea of the shopping education. ‘Get Hourglassed’…LOL thats pretty catchy! Thanks Chels! I try my best with catchy titles. I love the focus on health & not quick fixes as you & I have discusses virtually! 🙂 Looks fun but challenging!!! I’m so happy I connected with you Jody! This was something that really impressed me about the program. Not just getting active, but making good food choices for a lifestyle. This class had me sweating! That looks like such a fun workout!!! I’m loving your workout leggings too. Sooooo cute! It was a lot a fun. I’m so happy I was able to try it. Thanks! I think these leggings are Oakley. From the discount rack. Great tag line: Get Hourglassed. I want to get Hourglassed too 😀 I’ll check out her page. Thanks for sharing. Thanks Karen. I’m sure there are hourglass locations in your area. It’s an effective workout. This looks like my kind of workout! You are looking so strong! wtg girl. Hey Ivanna! I think you would love this workout with all the challenging functional movements. Thanks for the encouragement. Means a lot coming from a fit gal like you.